Chimney cowls, also known as chimney pots, fit to the top of chimney stacks and flues to prevent or reduce downdraught, to stop water ingress down the chimney and to stop birds or other animals entering the property via the chimney. Installing an inexpensive chimney cowl can be the answer to many problems, reducing cost in the long term of fixing these problems! 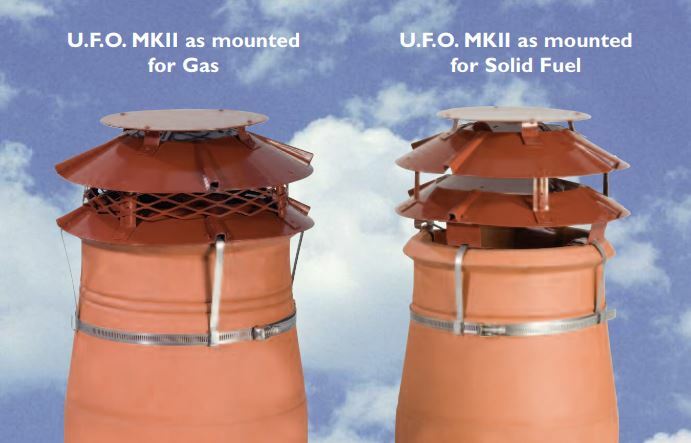 Chimney cowls come manufactured for gas fuel or solid fuels and some are suited for either. 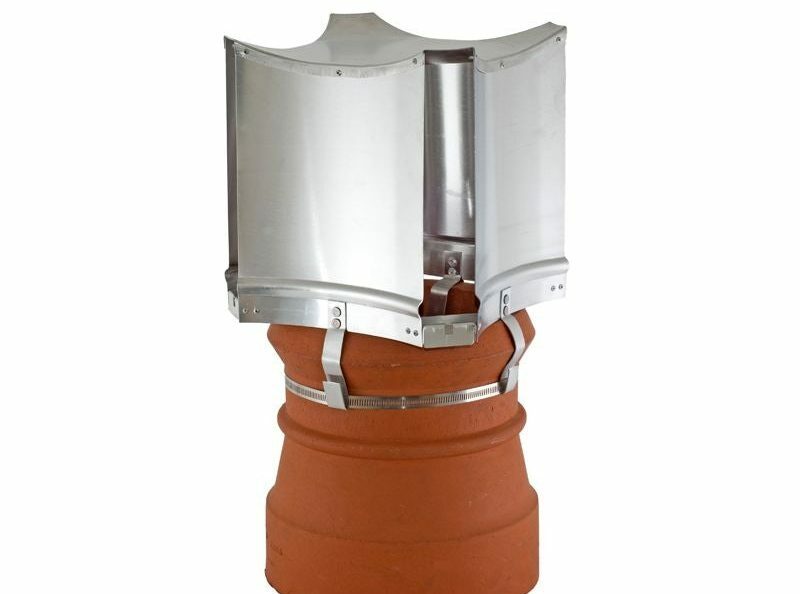 Chimney cowls that can be used for either gas fuel or solid fuel chimneys are called multi-fuel cowls. 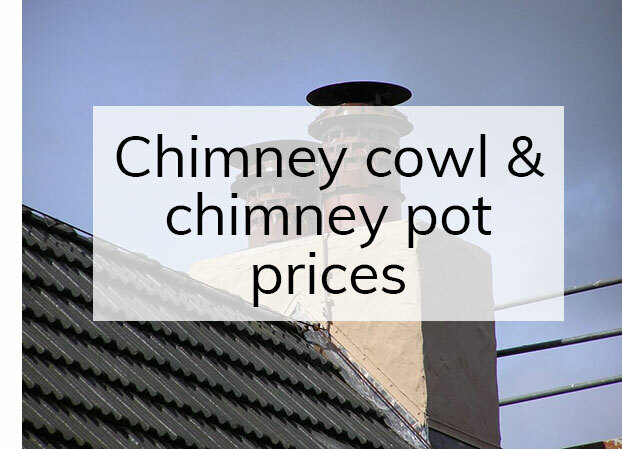 Choose the chimney cowl which best suits your needs, and then choose the model which suits your budget the best too with our easy guide to chimney cowl prices. Brewer Cowls, Colt Cowls and WINDKAT are the best-known manufacturers of low-cost chimney cowls so check out the types of product they offer. If you need any assistance deciding which is best for your property, contact our trained customer service team on 01752 692 760 for impartial advice. Some properties require a very basic chimney cowl to perform one function on their property. For example, you may have an issue with birds nesting in your chimney. If you have this issue you can opt for the cheapest possible solution! Find the cheapest solutions below for downdraught issues, water ingress, and preventing access to birds. Downdraught stops dangerous fumes and smoke from exiting up the chimney stack properly due to the flow of air. If the air isn't circulating properly then smoke and fumes will remain in the property. A simple chimney cowl can prevent downdraught by forcing the air up and out using negative pressure. Water trickling down a chimney stack will not necessarily cause problems straight away. In the short term if you're trying to burn wood, this can become damp and it won't light. In the long term if the water continues to come in it'll eventually cause damp and masonry damage. This could be beyond the chimney stack itself with damp seeping into bedrooms that the chimney stack runs up and through. It goes without saying that you don’t want a bird somehow coming down your chimney and into the front room. This isn’t the only problem though! Birds see chimney stacks as a warm place to nest and by doing so they block the flow of air out of the chimney, which is dangerous to the inhabitants due to fumes and smoke. They also drop feathers and droppings! There are many types of chimney cowls and chimney pots available which all depend on what you’re trying to achieve and what type of fuel you’re burning. Try viewing multi-fuel chimney cowls, solid fuel chimney cowls, and gas fuel chimney cowls separately to make sure you’re not wasting time browsing a chimney cowl which won’t suit your fuel type. Alternatively ask our trained team on 01752 692760 which chimney cowls you’re able to use. 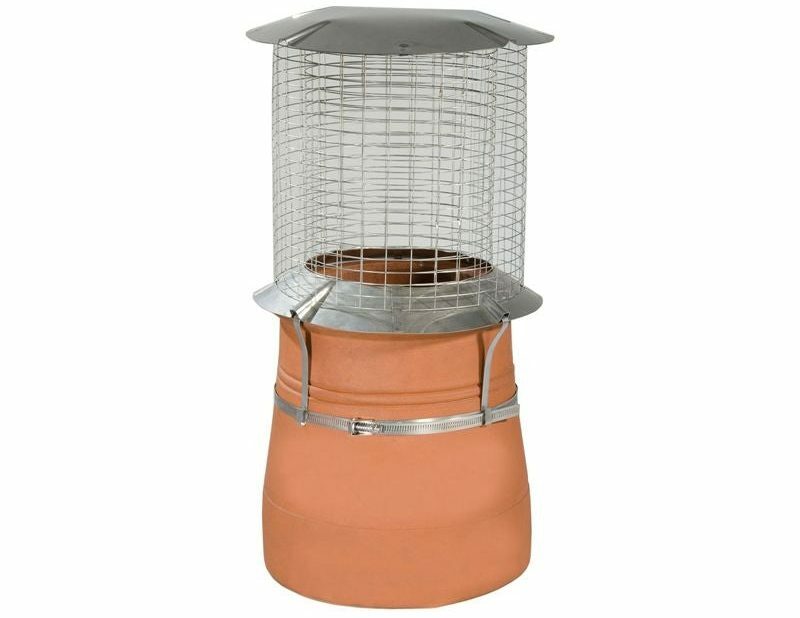 Birdguard chimney cowls are a very simple product used to keep birds from entering a chimney stack, without stopping the flow of air. They prevent birds and squirrels from entering the chimney stack by securing a raincap with a mesh surround over the chimney opening. 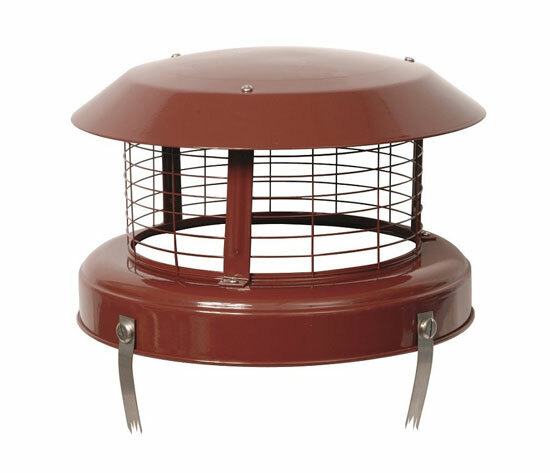 Birdguards are available in 4 colours for multi-fuel, solid fuel and gas fuel chimneys. 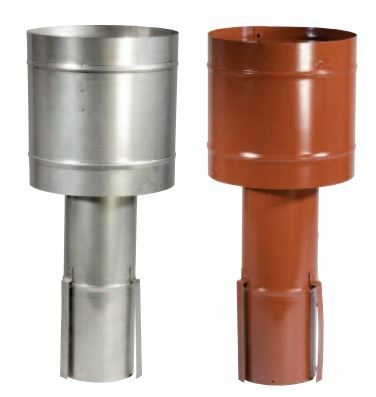 Chimney cappers are a low-cost way to cap off disused chimneys to prevent rain water ingress which will cause structural issues even if the chimney is no longer used. Chimney cappers allow for some ventilation. Bonnet chimney cowls from Brewer Cowls are so named because they look just like a bonnet over the top of a chimney stack. 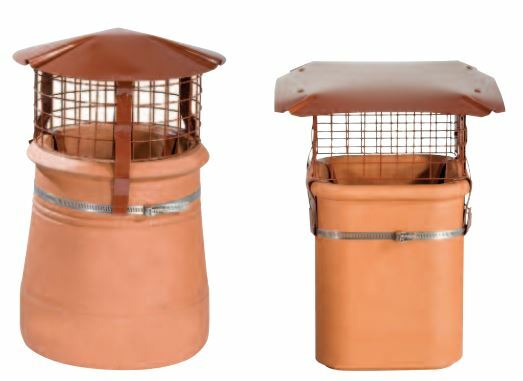 Available in buff, terracotta or black, Bonnet chimney cowls are to be used on redundant chimney stacks to keep ventilation going whilst preventing birds entering the chimney or nesting. 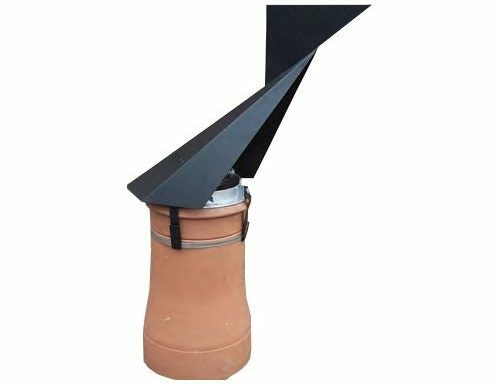 Aspirotor is a catch-all chimney cowl that offers reduction in water ingress and limits access to birds. It’s main function is to rotate in the wind to draw the air up and out of the chimney stack. Drawing air out the flue makes the fire more efficient and eliminates downdraught. It’s a multi-fuel product, suited to gas fuel or solid fuel fires. Aerodyne is designed to combat downdraught in solid fuel chimney stacks. It’s unique shape means the air pressure drops so that fumes and smoke are drown up and out of the chimney stack. 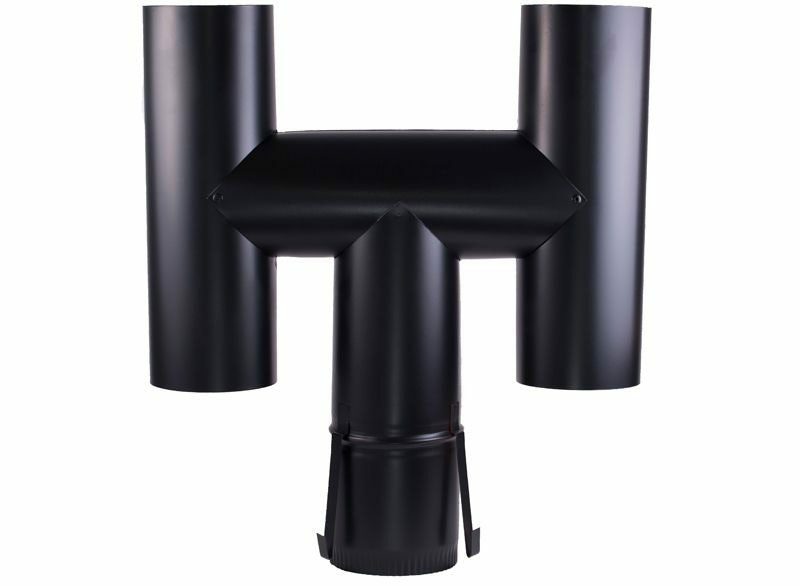 H Cowls are manufactured in their ‘H’ shape to combat downdraught in both gas fuel and solid fuel chimney stacks. It achieves this by forcing the downdraught to flow around 90-degree bends in the ‘H’ shape which dramatically reduces its ability to travel. 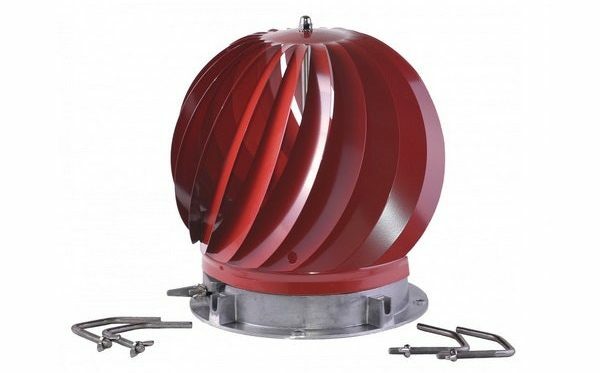 Lobster back chimney cowls are manufactured with a rotating head on the back of the stainless steel tube which rotates so it’s always got its back to the wind. This means fumes and smoke can be expelled properly without any downdraught. Stealth chimney cowls are designed to blend into their surroundings and form a good-looking chimney cowl which won’t stand out. The sleek design is aerodynamic for rotation on solid fuel fire chimney stacks to prevent downdraught. Windmaster chimney cowls are very traditionally designed for mulit-fuel use to combat severe downdraught. To select which fuel type you’d like your Windmaster chimney cowl to work with, opt for either gas fuel Windmaster cowls or solid fuel Windmaster cowls. Spark arrestor chimney cowls do what they say on the tin! They prevent most sparks from emitting from the top of the chimney stack which is extremely important on timber frame properties or properties with thatched roofs. Find out which type of chimney cowl is the best for your chimeny stack by taking advice from our trained team on 01752 692760.